I have 5 words for you. 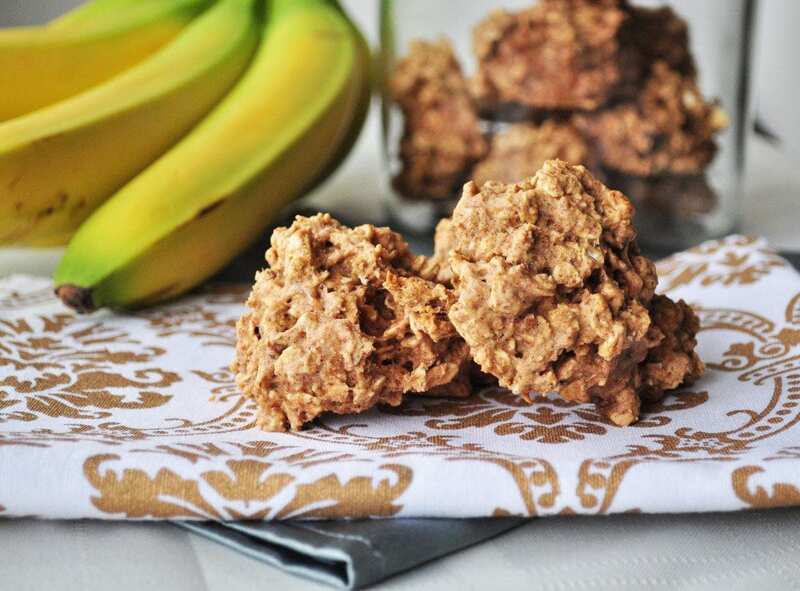 Peanut Butter banana Breakfast Cookies. Cookies for breakfast? Yes please! My girls love when they can eat cookies for breakfast. These healthy breakfast cookies are a favorite around here. These cookies are healthy and filled with protein and fiber to keep you full for quite a while. These are great for on the go kids too. 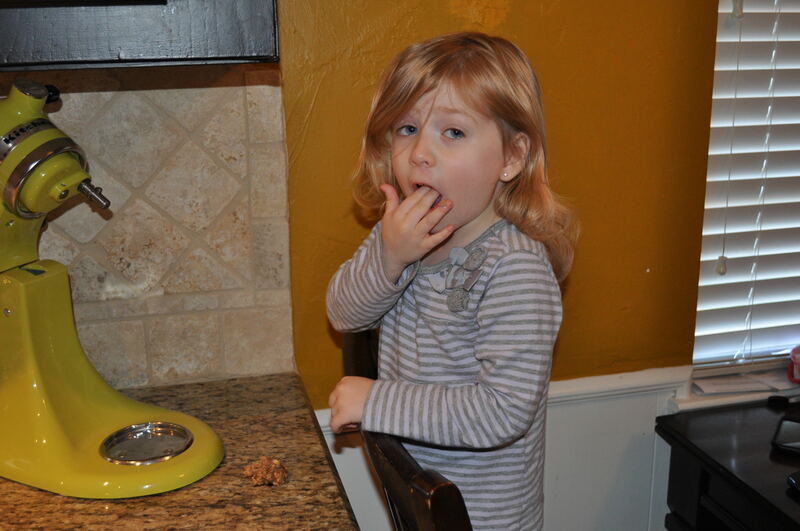 What kid wouldn’t get excited to eat cookies for breakfast? Meadow ate at least five when they came out of the oven. She is a ninja when it comes to snatching cookies off the baking sheet. Combine wet and dry and stir just until they are well incorporated. The dough will be very sticky. Spoon onto a lined or greased baking sheets and bake for 12-17 minutes. I bake a big batch of these and store some in my freezer for busy mornings. Enjoy! I subbed GF oat flour for the spelt flour and 1/3 c. Majool dates mashed up for the maple syrup. The rest of the recipe I left the same. They were dense, but tasty! Thanks for the basis for a yummy, quick breakfast...or snack! Do you know the calorie count on these cookies??? I'm sorry, I don't. You can upload the recipe into My Fitness Pal for a rough estimate though. .
Hi there!! My girlfriends and cousins raved about these cookies but I made them and they turned out very hard and dry. Where do you think i went wrong- time in the oven? not enough milk? any tips are greatly appreciated as i attempt them for the second time tonight!! thanks! I am so sorry they didn't turn out for you. :( Sounds like maybe they were over mixed and over cooked? Everyone's oven is a little different. Hi - just came across your website this week via foodgawker. I love the look of just about all of your recipes! I'm vegan raising my two kids (3 and 1) vegan and it can be hard to find simple, healthy recipes with kid friendly ingredients. So, thank you! This was the first recipe we tried - my daughter is currently shoving them in her mouth saying,"Mom! Cookies are my favorite!" I guess she approves! Followed the recipe except used an extra banana in place of the applesauce as I didn't have any on hand. Turned out warm, gooey, and perfect! Can't wait to try more. I know that t must be so annoying when people do this, but do you think I could substitute coconut flour for the spelt flour? Coconut flour is not an easy sub. Most other flours could work, but coconut flour is VERY hard to bake with and best used in recipes written for it. Are use coconut flour in this recipe all the time it works very well for me! I love this recipe!! I use coconut flour for this recipe and it works great ! I love this recipe! !